Canadian soprano Leslie Ann Bradley “brings the stage to life whenever she sets foot into the spotlight” (TORONTO STAR). Her 2015/16 season opened with an acclaimed role debut as Desdemona in Pacific Opera Victoria’s OTELLO. Her season continues with various concert projects including Bruckner’s Te Deum (Chorus Niagara/Niagara Symphony), Messiah (Grand Philharmonic Choir, Hamilton), Beethoven Ninth Symphony (Calgary Philharmonic/Victoria Symphony) and Haydn Creation (Toronto Mendelssohn Choir). Other recent highlights include her role debuts in Charpentier’s rare operatic gem LOUISE with Opera in Concert (Toronto), and as Missia Palmieri in Lehar’s most well-known operetta THE MERRY WIDOW. 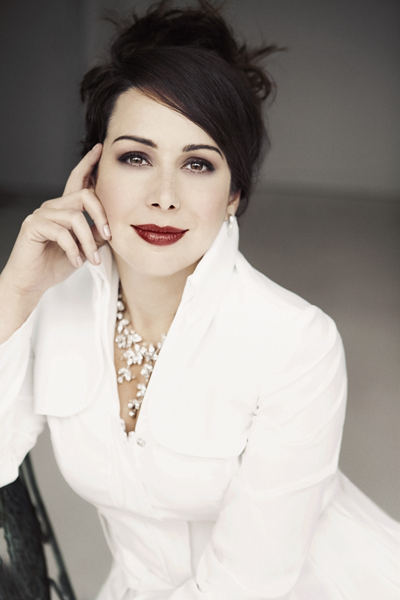 Bradley has demonstrated her love and command of Mozart repertoire, from her Toronto Symphony Orchestra debut (Coronation Mass) to Donna Elvira with Vancouver Opera (DON GIOVANNI) to Countess with Pacific Opera Victoria (LE NOZZE DI FIGARO). Further highlights include her debuts with Vancouver Symphony (Poulenc’s GLORIA), Kitchener-Waterloo Symphony (Britten’s WAR REQUIEM), and the Orquest Sinfónica Nacinal de México (Bach’s MASS IN B MINOR), and performing the role of Micaëla in Pacific Opera Victoria’s CARMEN. Ms. Bradley holds a Master’s Degree from the University of Toronto, a Diploma from the University of Toronto’s Opera Division and she is also an alumna of the Orford Festival. She attended Tanglewood and the Académie International de musique Maurice Ravel in France, studying with the renowned Françoise Pollet. Her success there was marked by receiving the Prix du chant Pierre Bernac as winner of the Academy’s voice competition. She appeared on BRAVO television in “Love Story” and has also recorded two episodes of “Opera Easy” for Bravo, singing excerpts from ROMÉO ET JULIETTE and ORFEO ED EURIDICE. Ms. Bradley is recipient of the U of T Faculty of Music Tecumseh Sherman Rogers Graduating Award and is a winner in the Czech and Slovak International Competition, Jeunes Ambassadeurs Lyriques competition, Journée de la Musique Française Competition (Montreal) and has received support from the Jacqueline Desmarais Foundation.